Want to catch more Lake Trout? Hi, I’m Captain Brian of Sand Point Charters. If you like fishing for lake trout, knowing where and when to find the fish will make you more successful. I have a FREE study that shows the traits of this restless denizen of the cold, deep waters. To receive your free, 19 page Lake Trout Temperature and Depth Study, enter your email address in the box to the right and submit. This is a Lake Trout temperature and depth study of 14 fish that were captured in Lake Superior and tagged with recording devices. They were re-captured and the data from the fish were recorded in 14 charts (one for each fish) from the time of release until capture, up to 2 years later. The depth and temperatures recorded are valuable in learning the fishes seasonal habits. 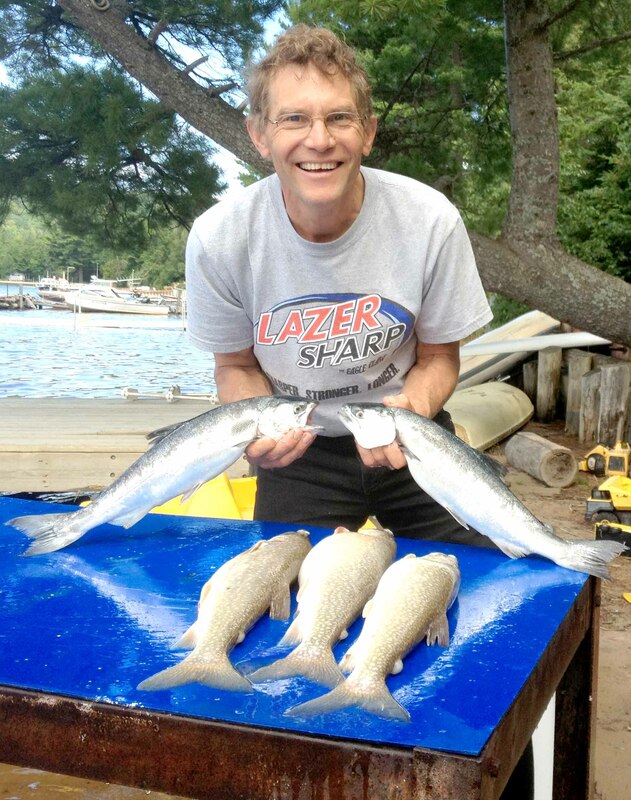 I have studied them extensively and give my observations about the study, combined with my own experience fishing for lake trout over the last 10 years. Did you know – Lake trout will RARELY be found in water over 55 degrees F? Do you know what the ideal, best or preferred water temperature is for lake trout? Do you know where and when lake trout spawn? Know where to look for them during the season you’re on the water. Know where they are likely to be during any season. Bottom line is to teach you how to catch more fish! To help anyone who is interested in fishing for lake trout. It’s such a great past time and provides an excellent food source. Family fun that any age can enjoy. Easy to catch, when you know where to find them. So lake trout fishermen can understand their seasonal cycle. Know where to find lake trout and know where they are not present so you’re not wasting time. Know why they are in certain areas during which season. FREE 20 Page Lake Trout Temperature & Depth Study!